The Power for People (P4P) Coalition, the widest network of civil society organizations, local community groups, electric cooperatives, and household electricity consumers, demands immediate and responsive action from President Rodrigo Duterte concerning the four suspended Commissioners from the Energy Regulatory Commission (ERC). Specifically, the Coalition calls on the President to break his chain of successive failures to deliver on his promises and act on the corruption prevalent in the ERC by firing the suspended Commissioners and immediately name their replacements, that the ERC can categorically reject the anomalous Power Supply Agreements (PSAs) entered into by Meralco through its dealings with its sister companies. The said Commissioners practically betrayed the trust of the public and their mandate by suspending the implementation of the Competitive Selection Process (CSP) to accommodate Meralco’s suspicious power deals with its sister companies. The CSP is required by law in order to ensure that electricity consumers will get energy from the cheapest, most competitive source. However, the ERC suspiciously lifted the rule in favor of so that Meralco and other DUs can go through with their PSAs without having to go through public bidding. Even as enough evidence has been found of this collusion by the ERC Commissioners and Meralco for the Ombudsman to suspend the Commissioners, the shadow of corruption continued to lurk the halls of the ERC under Duterte’s nose. The suspended officials continued to go to work with the support of Duterte’s appointed ERC Chairman Agnes Devanadera, in direct contempt of the Ombudsman suspension order. And while the Palace reportedly ordered the ERC to implement the suspension, the President has neither reprimanded the ERC for defying the order, nor has he named replacements for the suspended officials. This lack of action from the part of President has culminated in the Court of Appeals decision issuing a temporary restraining order (TRO) against the suspension ordered by the Ombudsman. According to the Court of Appeals, serious and irreparable damage will be incurred by the public if the positions remained vacant, as the ERC will not be able to function without absent its four commissioners. The 7 PSAs are dirty, deadly, and costly. 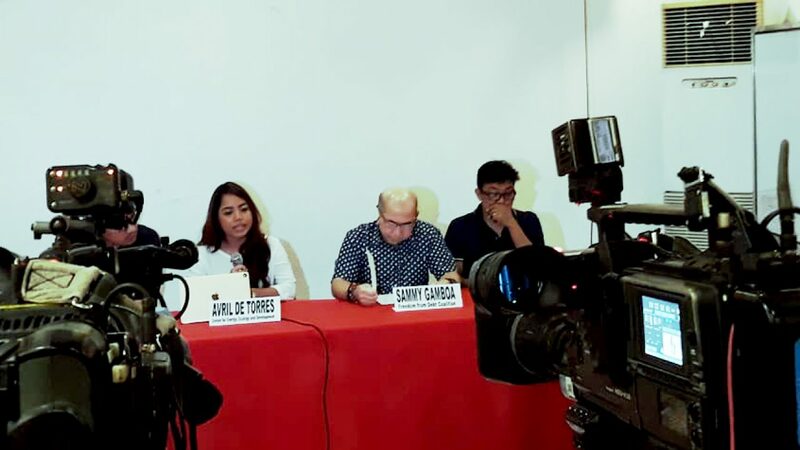 The P4P Coalition has not wavered in its continued intervention against Meralco’s seven PSAs, given the corruption surrounding it, the high cost coal will add to our electricity bills, as well as its implications on the environment and communities who will be affected by the construction and expansion of coal-fired power plants. Already, our coastal resources are being depleted by the country’s continued reliance on coal for energy. Coral bleaching and the contamination of water has led to an alarming decrease in the livelihood of coastal communities, especially small fisherfolk. Skin, respiratory, and cardiovascular ailments owed to the smoke coming from the burning of coal has also been suffered by impacted communities. Already, communities from the Atimonan, San Rafael, Limay, Iloilo and others are expressing dissent and resistance against the power plants threatening them. This increased suffering due to the extraction and burning of coal is a price we are no longer willing to pay. These realities are on top of the actual price coal costs in our electricity bill, as coal continues to increase its price relative to other cleaner energy resources. It has been almost ten months since the Coalition has submitted petitions for intervention against the PSAs, nearly seven months since the ERC rejected the petitions, and five months since the Ombudsman suspended Meralco’s pet Commissioners. With the end of the TRO issued by the Court of Appeals, the ball is once again on the President’s hands if he would allow the ERC Commissioners to disrespect the Ombudsman’s suspension order, or he will instead do his part to curb corruption in the ERC by firing and replacing the suspended commissioners. The Coalition remembers the words of the President against corruption in the government and the ERC. The Coalition remembers the lies and deception of Meralco and their pawns in the ERC. His ‘tough’ words mean nothing. These instances of corruption and collusion happened under his nose. And his continued inaction could prove that he is part of the problem, not the solution. The people have waited enough. 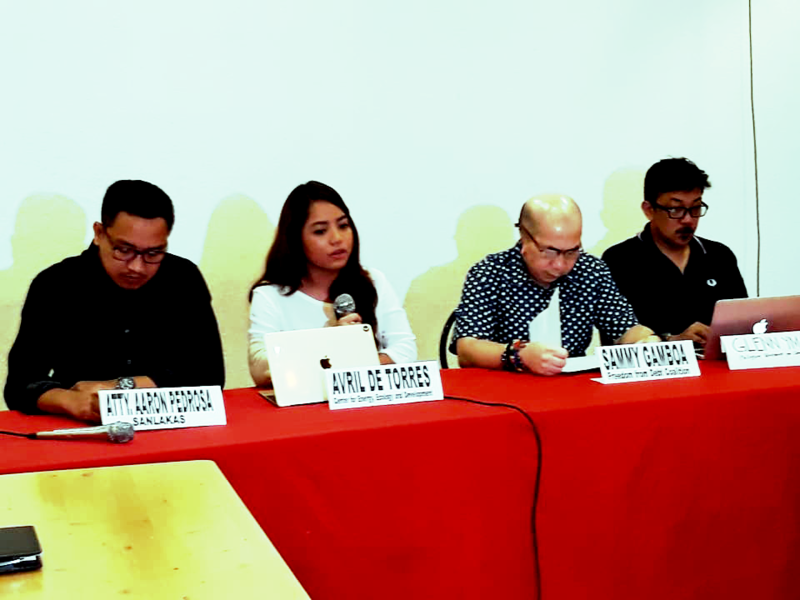 The P4P Coalition calls for President Duterte’s firing and replacement of the four suspended ERC Commissioners. The Coalition also demands that the suspended Commissioners abstain from approving Meralco’s PSAs, and to honor the Ombudsman’s suspension order. Lastly, upon replacement of the suspended ERC Commissioners, we call on the ERC to deny the dirty, deadly, and costly coal PSAs submitted by Meralco.